Stillmeadow Teachers regularly post projects on DonorsChoose.org. Third grade teacher Ms. Decarlo is currently seeking funding to purchase additional technology for her classroom. Please consider supporting Ms. Decarlo and her students by donating to this project. 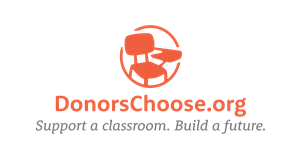 Also, bookmark this link and check back regularly to see which Stillmeadow Teachers have projects on DonorsChoose.